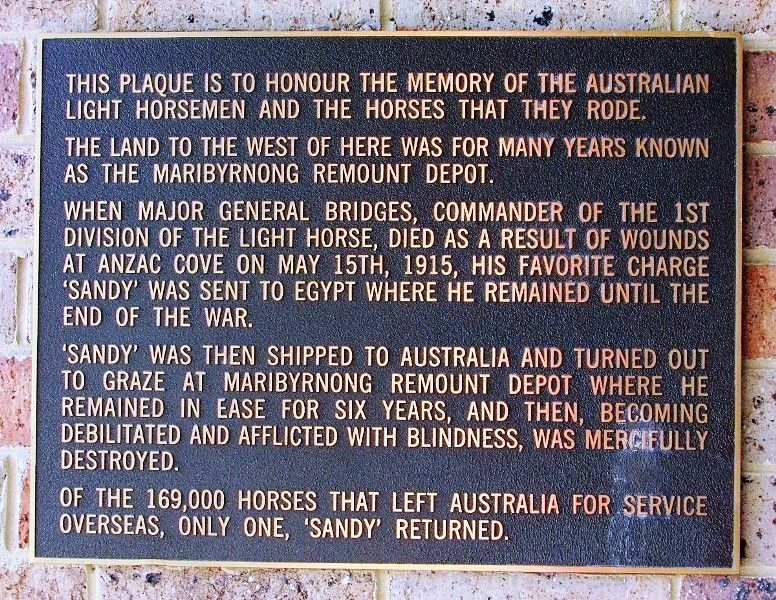 A plaque commemorates the Australian Light Horsemen and the horses they rode in World War One. Light Horsemen And The Horses That They Rode. As The Maribyrnong Remount Depot. The End Of The War. Overseas, Only One, `Sandy` Returned.